Location, location!!! Beautiful home located on culdesac in Village Green! Maintenance free Hardie board siding, newer windows and roof. Updated in 2017 with new hardwood, carpet, ceramic tile, paint, new stainless steel appliances, travertine back splash and Granite countertops.Beautiful Library panel in den. Crown molding downstairs. Updated kitchen with Granite. Dual staircases. 4 bedrooms plus bonus room with a wall of built in shelving. Shady, flat, privacy-fenced (new fence 2017) backyard with large paver sitting area and screened in back porch. 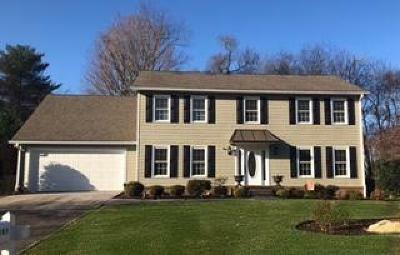 THIS HOME IS IMMACULATE AND READY TO MOVE IN! 2 neighborhood pools with clubhouse and tennis courts.